The American workplace has been rapidly transformed from one in which communication took place on paper to one which uses computers to communicate electronically. The vast majority of employers now use electronic monitoring to insure that electronic communication technology is used appropriately. This raises serious privacy issues, especially as the boundary between work and home disappears and personal communication in the workplace grows. While there is no consensus at this time on a comprehensive resolution of these issues, there is consensus on the basic principle that employees are entitled to know about the monitoring programs which affect them. The Notice of Electronic Monitoring Act would protect the privacy of Americans at work by requiring that employers notify employees about their monitoring programs. My name is Lewis Maltby. I am president of the National Workrights Institute. The Institute is a non-profit research and education organization dedicated exclusively to advancing human rights in the American workplace. Our mission statement and a copy of my biography are attached to this testimony. The Institute has not received federal grants. Electronic communication technology has swept through the American workplace with breathtaking speed. When I was a corporate general counsel in the 1980’s, we communicated by writing letters longhand on legal pads, carrying them to a secretary to have them typed, proofreading them ourselves, and sending them via the postal service. Today, we communicate by typing the message onto our computer, which proofreads it for us, adding the e-mail address and pushing a button. We don’t go to the library to do research, we do it at our desks via the internet. We don’t get phone messages from the receptionist anymore, we have voice mail. Almost 5 million companies now have computers for their employees and use those computers for e-mail. Almost 500 million e-mail messages are sent every day. Our entire system of business communication has been transformed. The benefits of this transformation have been enormous. Less time spent shuffling paper has translated into vastly increased efficiency, higher profits, and an increased standard of living. The quality of our lives has also improved because we have more flexibility. The ability to log on to the office computer after the children go to bed makes it possible for many of us to leave the office in time to have dinner with our families. But progress always brings risks and challenges in its wake. The automobile gave us undreamed of freedom, but forced us to deal with air pollution. The communications revolution is no exception. The many benefits it brings us have come with great risk to our privacy. Electronic communication technology has been followed by electronic monitoring technology, installed by employers to insure that it is not being abused. The vast majority of employers already have electronic monitoring programs. According to the American Management Association, 78% of all employers have at least one system in place for electronic monitoring of employees. In some cases (54%) this takes the form of monitoring the internet sites each employee visits. In others (38%), it is reading employees’ e-mail messages, or reviewing documents in the employee’s computer (30%). Employers have legitimate reasons for many monitoring programs. Company e-mail systems have sometimes been used to send inappropriate material that contributes to a hostile environment. The seductive allure of the internet has led some employees to spend their time at work web surfing. Employers need to respond to these concerns. But employers’ efforts to prevent abuse often lead to serious invasions of privacy. People are not robots. They discuss the weather, sports, their families, and many other matters unrelated to their jobs while at work. While many of these non-work related conversations are innocuous, some are highly personal. An employee might tell her best friend at work about problems with her husband or share concerns about family financial problems, or their fear that their child may have a drug problem. In today’s world, these “discussions” may well take place over e-mail or the office telephone. An employer who monitors for legitimate reasons may well inadvertently “eavesdrop” on such a sensitive private conversation. These problems are compounded by the disappearing wall between the world of work and our home lives. Not long ago, work was done in the office and home was for private life. But this world is rapidly disappearing. Most professionals now carry cell phones. We make and receive work related calls during the evening, on weekends, and even on vacation. We have e-mail on our home computers and regularly receive messages from the office. Many of us carry pagers, allowing our employer to reach us any hour of the day or night. The average professional now receives 21 work related messages at home every week. We are also working longer hours than before. Nine to five work days for professional employees no longer exist. Working late, working evenings, and working on weekends is now normal. When work and home become a seamless whole, not only does work come home, but personal matters come to work. Personal telephone calls which an employee could not make from home during the evening because they were working sometimes must be made from work the next morning. As our schedules become more crowded and fluid, employees often need to communicate with their spouse during the work day about who is working late and how they will get the children to soccer practice. As personal communication from the workplace increases, so does the risk that employer monitoring programs will capture private messages in which the employer has no legitimate interest. We do not yet have answers to these problems. The dialogue between employers and privacy experts is just beginning and it will be some time before a consensus emerges. But there is one basic principle about which all parties agree. Employers, employees, and privacy experts all agree that employees should receive notice of their company’s monitoring programs. Employers may need to conduct monitoring for quality control and other business reasons, but they do not need to do it in secret. 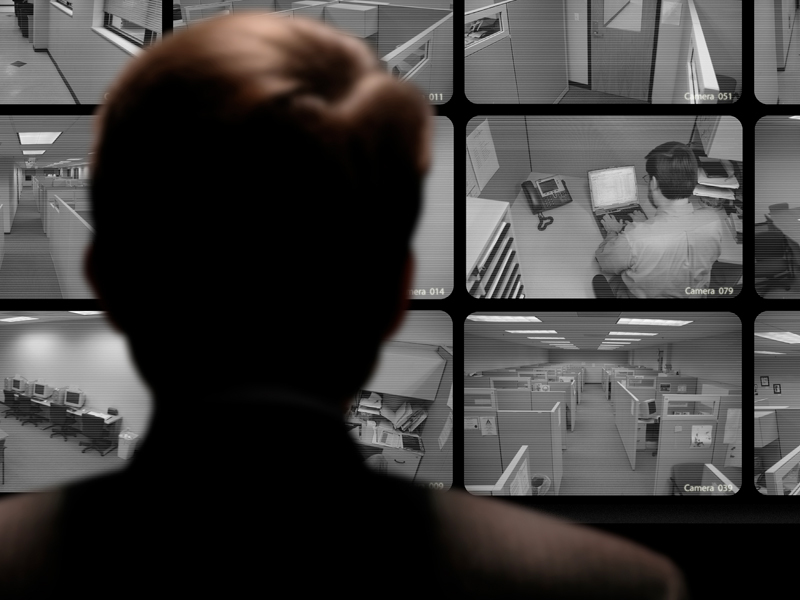 Legitimate monitoring programs do not need to be carried out behind employees’ backs. Secret monitoring is not only unnecessary, it is counterproductive. The purpose of monitoring is to ensure that employees are following company policy regarding the use of electronic communications technology. If employees know that the company monitors e-mail or internet access, they will be more careful to follow the rules. Most important, secret monitoring is ethically wrong. People have a right to know when they are being watched. Reading someone else’s messages without telling them is both deceptive and a profound violation of their privacy. Responsible employers already recognize this, and provide employees notice of monitoring. The American Management Association recommends that employers provide notice of monitoring programs and reports that approximately 85% of its members who conduct electronic monitoring notify their employees (the percentage varies slightly for different types of monitoring). But the remaining 15% of employers conduct their monitoring in absolute secrecy. This indicates that at least 12 million Americans are secretly monitored by their employers (100 million people in the workforce x 80% who are monitored X 15% who do not receive notice). Moreover, when employees are notified that they are monitored, the notice is often inadequate. The most common form of notice generally states that the employer reserves the right to conduct monitoring. Such notice does not tell an employee what type of monitored is being conducted. An employee doesn’t know if it is her e-mail, her hard drive, her telephone calls, or her internet access that is being monitored. She doesn’t know if the employer monitors only specific messages, monitors randomly, or monitors each and every message. She doesn’t even know whether her employer is monitoring at all. All she knows is that her employer might be conducting monitoring. This is almost worse than no notice at all. H.R. 4908 would solve this problem by setting standards to ensure that the notice of monitoring employees receive is meaningful. Providing employees with meaningful notice is not only right in principle, but would make a great difference in practice. If an employee knows that her employer monitors e-mail messages, she can protect her privacy by having a sensitive conversation with her husband over the telephone instead. If all forms of communication are monitored, she would at least be able to choose between taking the risk that her personal discussion would be monitored and not having the discussion. An employee would never send a sensitive personal message in the belief it was confidential only to have it read by her employer. The Notice of Electronic Monitoring Act would protect the privacy of millions of Americans at work at virtually no cost to employers. The National Workrights Institute strongly supports H.R. 4908.